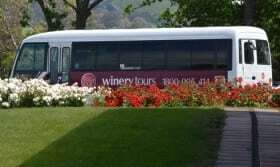 Yarra Valley - Australian Wine Tour Co. Naturally wine tasting is one of the most popular of those activities. Due to its climate and diverse soil types the Yarra Valley has become synonymous with wines of great elegance, restraint and balance. Chardonnay, pinot noir and sparkling wines dominate, but the repertoire includes excellent examples of shiraz, riesling, pinot gris and sauvignon blanc. There are now around 100 wineries in the valley. Over 60 open their cellar doors to the public, meaning there are plenty of wines to try and buy. These cellar doors encompass everything from grand architectural statements to rustic tin sheds hidden amongst the vines. Equally as varied is the food on offer. The valley is home to over 100 caf és, restaurants, produce stores, farmers’ markets and farm gates. Whether your love is cheese, pasta, jams, chutneys, fruit, jellies, chocolates, bread, salmon and trout, vegetables, meat, fresh fruit or even ice cream, you’ll find it in the Yarra Valley. That the Valley should produce such a variety and such high quality food comes as no surprise. After all, the ingredients needed to produce fantastic wines such as good soil and climate, also result in great food. In many ways the development of the Valley’s produce has followed the wine industry. 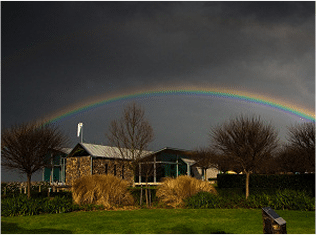 First there were the wineries, then came the restaurants to cater for winery visitors and finally the food producers to provide the restaurants with the freshest possible ingredients. Fortunately many of these producers also sell direct to the public. As a result you can now either enjoy this great food in a restaurant or caf é or you can create your own picnic. You’ll find no shortage of scenic stops with backdrops of green rolling hills and vineyards to enjoy that picnic. 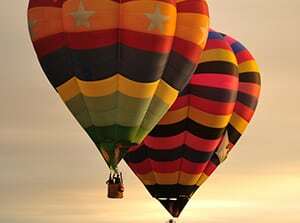 Popular Yarra Valley activities include hot air ballooning, walking, cycling and golf. Then there are the valley’s many galleries full of top class art and crafts. 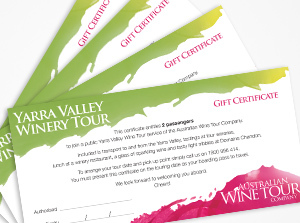 The best way to experience the Yarra Valley and avoid the hassle of driving yourself is to go on a day tour. 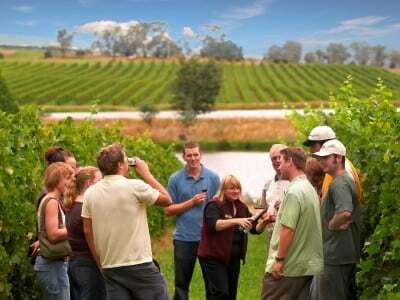 The Australian Wine Tour Company’s daily tour is excellent value for money and fully inclusive. Conveniently located pick-ups in St. Kilda, the City and North Melbourne make it easy to join. Their guides are entertaining wine experts who show you all the region has to offer, from how to taste wine to how it’s made. 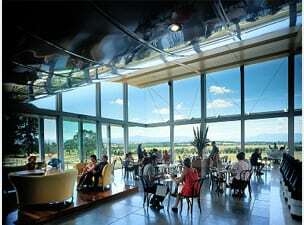 An à la carte lunch is included at Rae’s Restaurant at Balgownie Estate and you can taste around 20 wines throughout the day at four of the best wineries in the Yarra Valley, finishing at Domaine Chandon with a glass of bubbly.